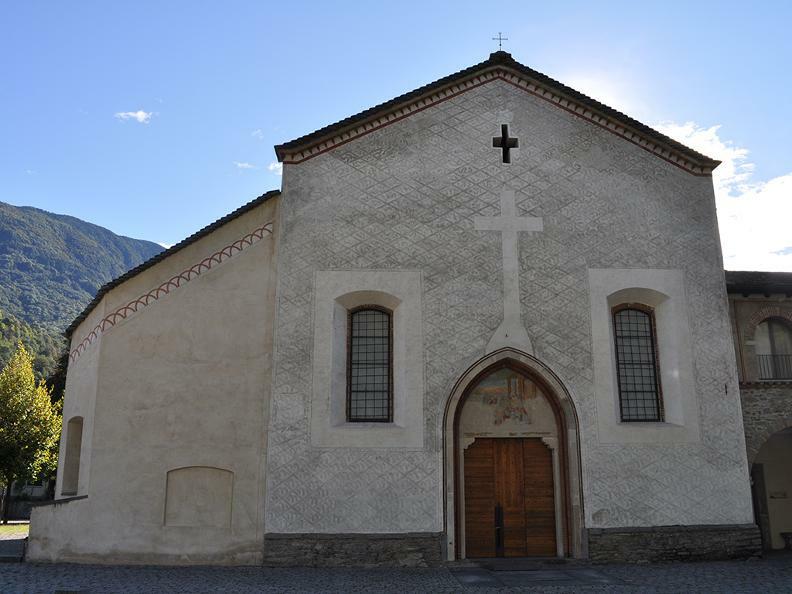 This church dates back to the end of the 15th century and first mention is made of it in records of 1480. The convent of Frati Minori annexed to the church ceased to function as such in the middle of the last century. 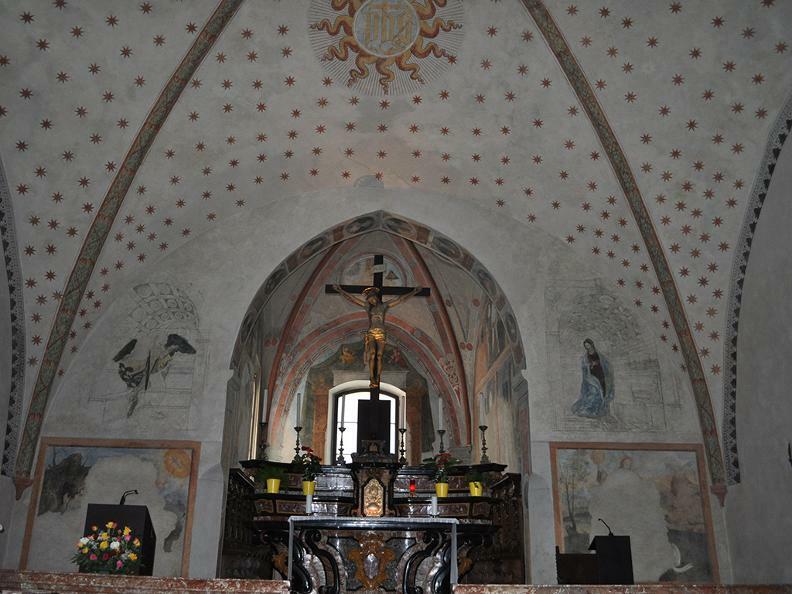 The interior is divided by a huge transverse wall in the tradition of the Franciscan Order and is decorated with some magnificent frescoes. On the dividing wall there is a Renaissance fresco of the Crucifixion surrounded by fifteen scenes depicting the life of Christ. Unfortunately the painter is unknown but it is most probably the work of an artist from Lombardy dating from the period between 1495 and 1505. 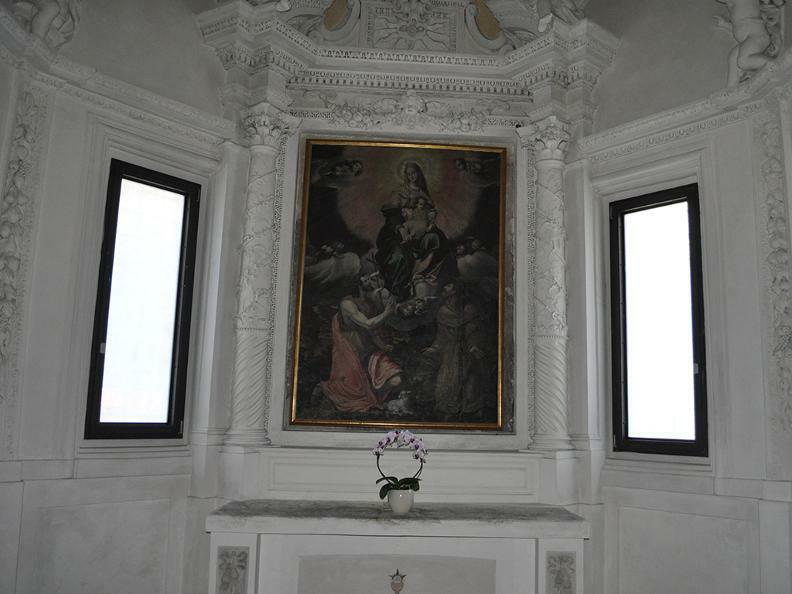 In the front right-hand chapel there is a charming fresco called the "Dormitio Mariae", so named because it depicts the veneration of an ancient carved wooden statue of the sleeping Virgin Mary. This piece is reminiscent of work by Gaudenzio Ferrari. 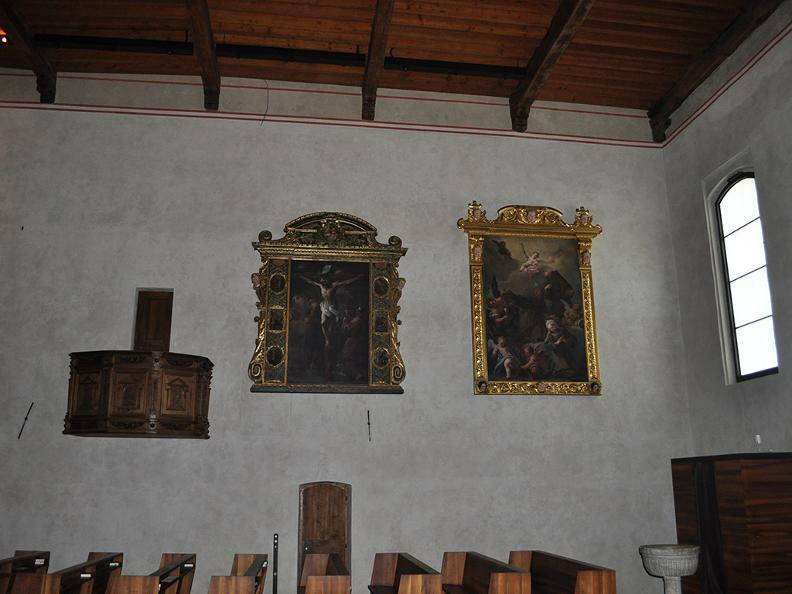 The frescoes depicting S. Bernardino between Saints Sebastiano and Rocco (first chapel on the left), and The Annunciation (on the arch of the choir) are also worthy of note. 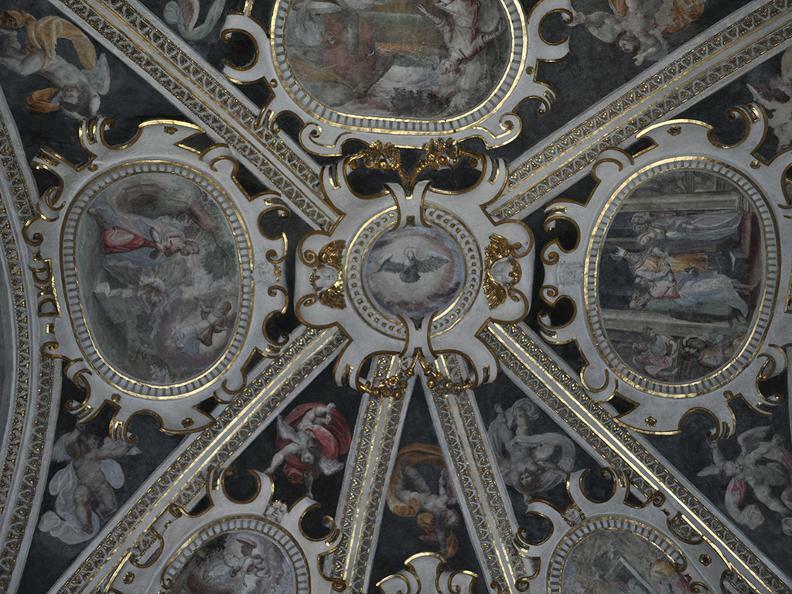 They are thought to be the work of a pupil of Ambrogio Borgognone. The church also contains some interesting 17th and 18th century paintings on canvas, some ancient tombstones and wrought iron gates dating from the 16th and 18th centuries. 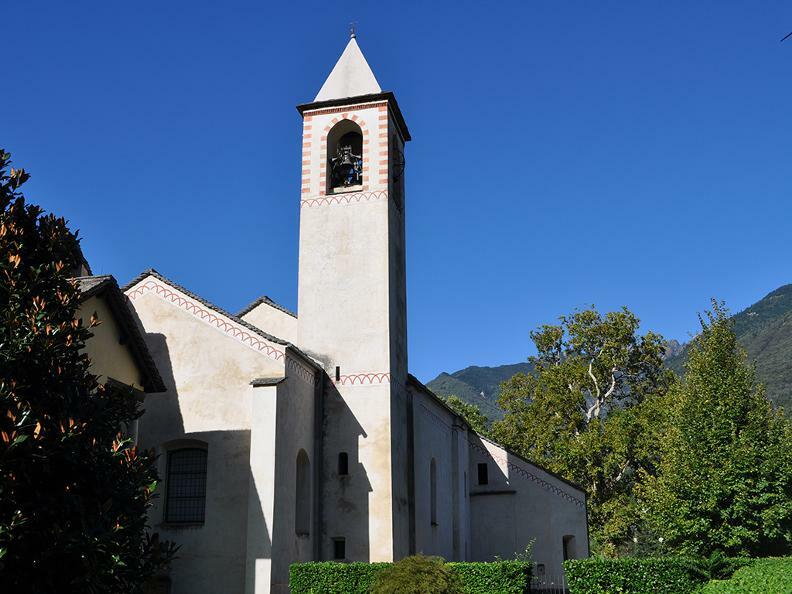 This is one of the most beautiful and evocative churches in Ticino. 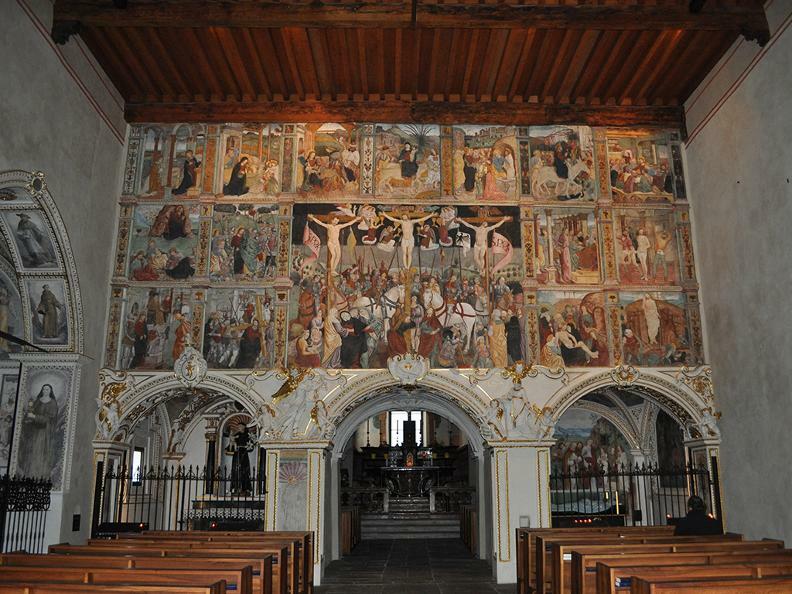 The cloister of the convent (now a home for the elderly) contains an interesting series of 17th century frescoes which sere commissioned by the noble families of Bellinzona and the "Landfogti" or provincial governors of the region. 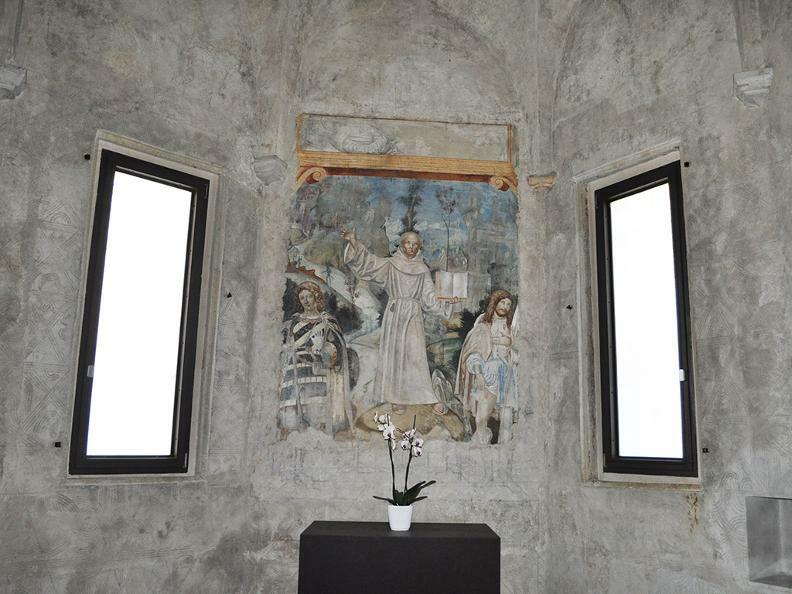 There are also paintings depicting episodes in the life of St. Francis. These works signed R.L. and dated 1636.